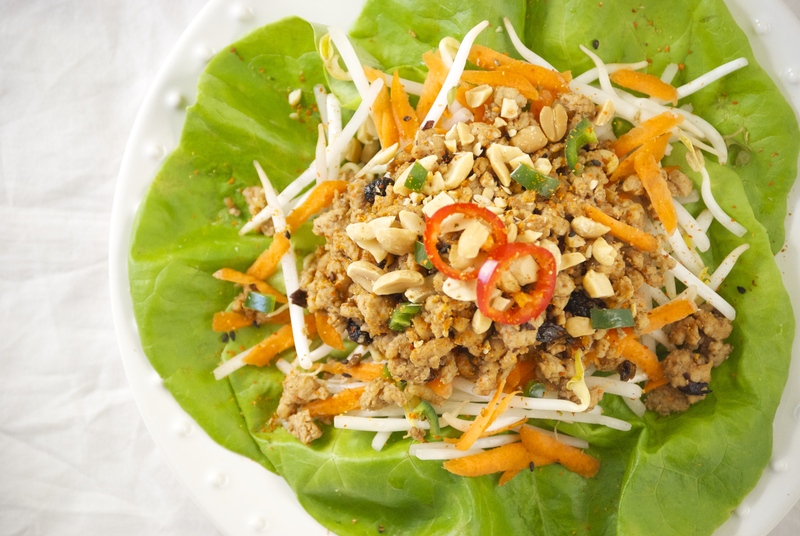 Continuing with the ginger theme from last week, I give you these Asian lettuce wraps. This is one of my go-to meals when I feel like stuffing my face with some serious flavor, but I still want to keep it on the healthy side. Texture is the key here. Adding crisp veggies and crunchy peanuts make this wrap stand out. The black bean garlic sauce gives this dish a bit of oomph and can be found at most any Asian or even some regular grocery stores. The beans are fermented, which lends a unique flavor to the dish. If you’ve never tried using black bean garlic sauce before, you will soon find many ways to incorporate it into your Asian cooking– it’s wonderful, plus it lasts forever in your refrigerator. 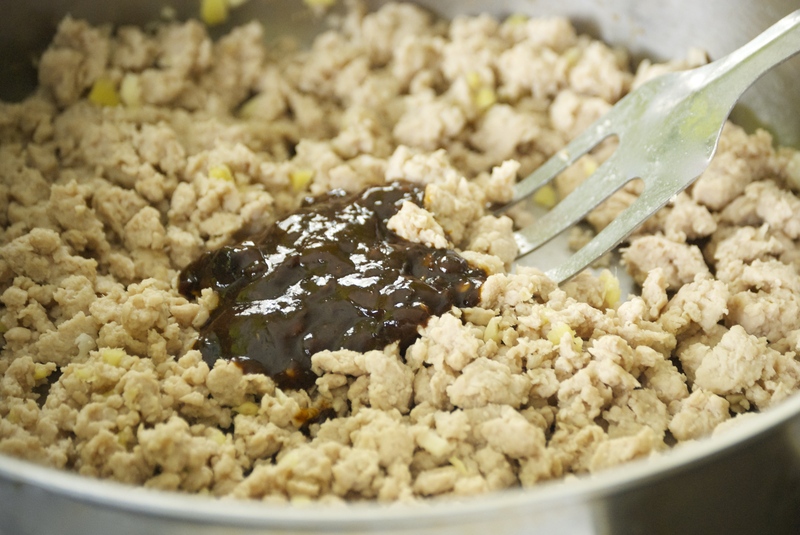 The hoisin sauce is also instrumental in bringing a touch of sweetness to the mixture. 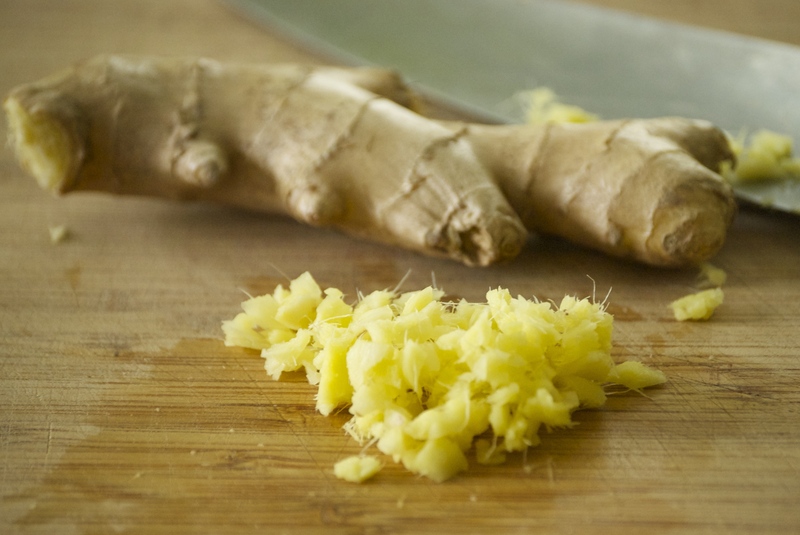 Both ingredients work well with fresh ginger and garlic. The meat mixture is very versatile and can be adjusted to fit what you have on hand. Ground chicken, turkey, or even pork all work well. Sometimes I even toss in some frozen peas, which my kids really enjoy. 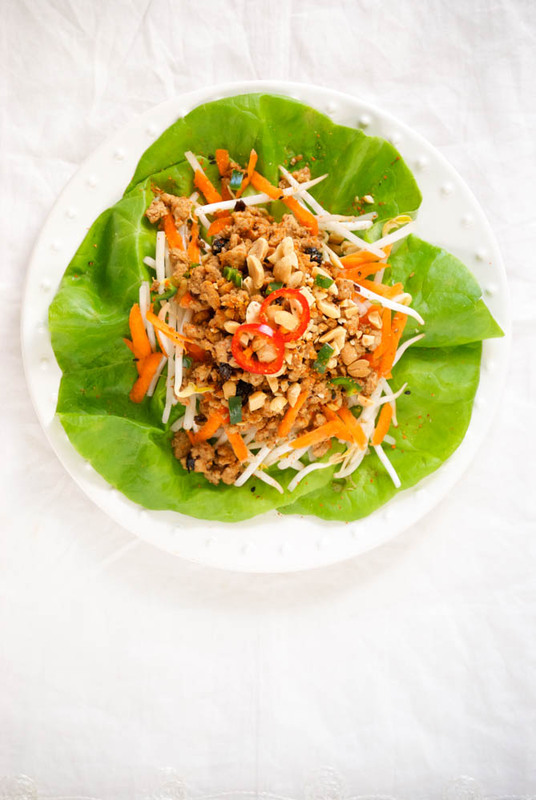 However you make it, I know you’re going to love these lettuce wraps! In a small mixing bowl, combine the black bean garlic sauce, hoisin sauce, garlic chili sauce, rice vinegar, and soy sauce. Set aside. In a large skillet over medium-high heat, brown the meat. Drain off and discard any grease. Add the garlic and ginger to the pan and sauté for a minute or two. Add the contents of the bowl to the meat and mix together until warmed through. Taste and re-season, if necessary. 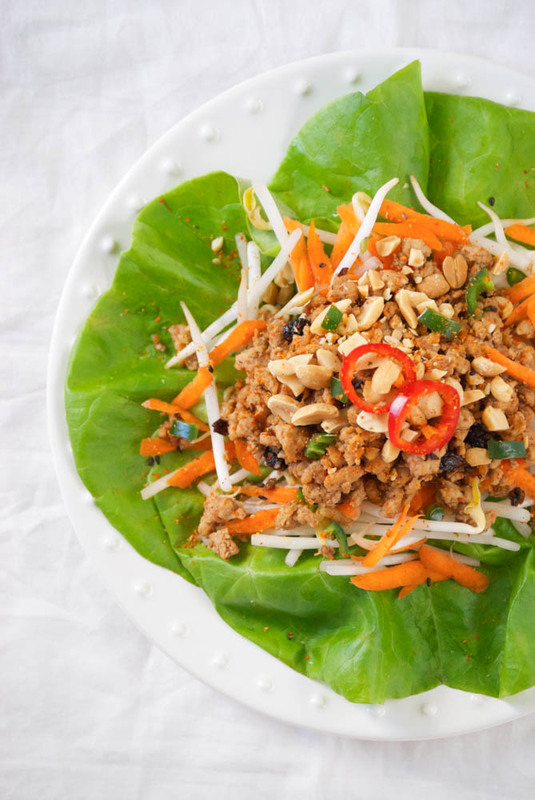 Assemble the wrap with a piece of lettuce, a bit of the meat mixture, sprouts, carrots, hot peppers, peanuts, sriracha, and a sprinkle of Togarashi, if desired. Enjoy!